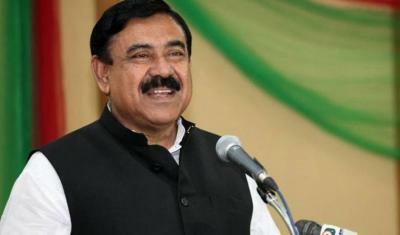 Shipping Minister Shajahan Khan has said much-awaited Khulna-Kolkata direct train service would bring huge benefit in days to come. "The inter-country relation with India won't ease communication only between two neighbouring countries but will help expand the trade and commerce," he said while speaking at Sramik Kormochari Peshajeebi Muktijouddha Samannay Parishad conference in the town on Thursday. Noting that Bangladesh is getting huge benefit in the water-way as about 350 water vessels, including 300 of local ships operate there, Shajahan said this has created job opportunities for many people here, reports BSS. The new passenger train service "Bandhan Express" between Khulna-Kolkata was flagged off today by Bangladesh Prime Minster Sheikh Hasina and her Indian counterpart Narendra Modi through a video conference. Referring to the political gathering of BNP Chairperson Begum Khaleda Zia, the shipping minister said all political parties have rights to hold meeting or rally but none should create or nurture terrorism in the name of democracy. "The permission of police administration is a must prior to holding any political gathering or meeting," the minister added. Ismat Kadir Gama, District Council Chairman M Miazuddin Khan, dr Selina Akhter, Khandaker Khairul Hasan Nitol, among others, spoke on the occasion.